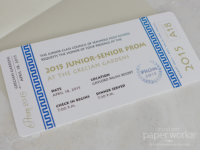 A boarding pass invitation with a tear-off response card is a great option if you want something custom and unique, but also simple and budget-friendly. The tear-off rsvp needs only a post-card rate stamp. 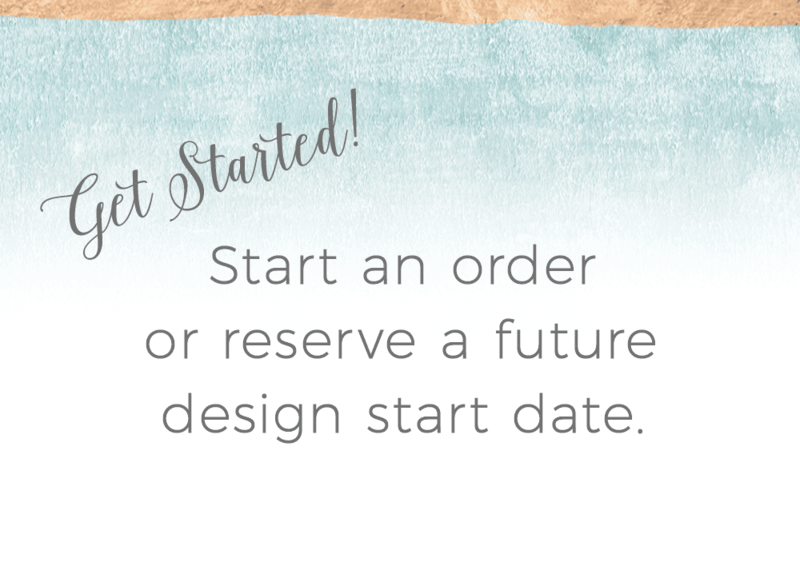 These invitations are great for casual weddings, bar & bat mitzvahs, sweet sixteen parties, or rehearsal dinner invitations (especially if your wedding invitations were of the passport variety). 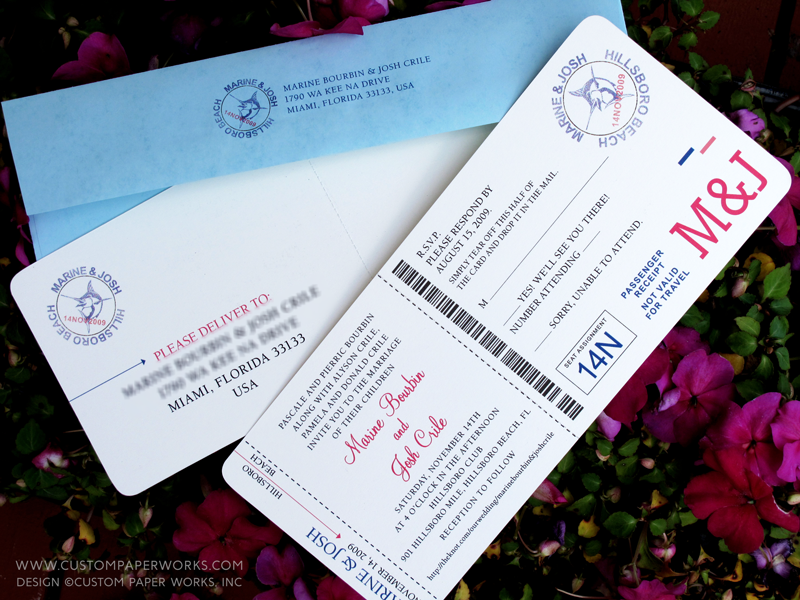 Marine wanted to incorporate a Marlin into her stamp for her Florida wedding, and picked a great blue envelope that has a subtle marbled effect.